Vinicius Junior spoke for the very first time for the Spanish press and it was a very interesting interview in the radiostation Cadena Ser. The Brazilian star showed his personality and explained his decision for choosing Real Madrid instead of Barcelona. The winger was also sincere when he was asked about the things that he needs to improve. One of the most shocking things about this interview was the confidence Vinicius Junior has in himself. The star was asked about winning the Ballon D’Or Award and he replied the following: “I see myself winning it with 25 or 26 years. At that age, I will be doing the things very well”. 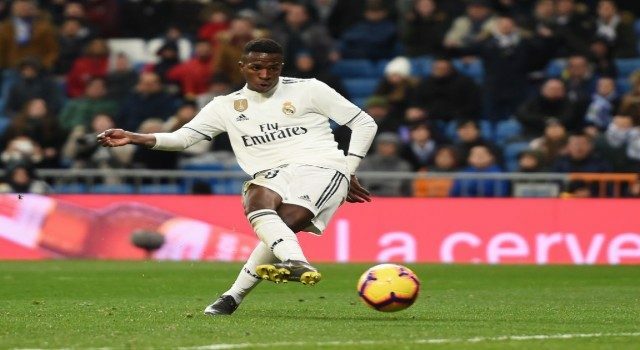 However, Vinicius admitted that he had to improve the accuracy towards the goal. “I felt a bit anxious towards the goal because I wasn’t able to score, but I’m working hard to improve it and I’ve been helped a lot. We have to think that I’m only 18. 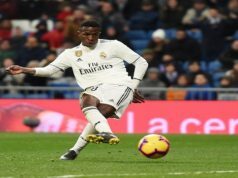 I will improve with the time”, Vinicius told the journalist. 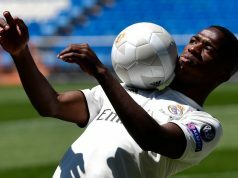 Vinicius also explained his decision of signing for Real Madrid: “After playing with Brazil the South American Tournament Under 17 I started to see the possibility of coming to Europe. My father didn’t tell me anything. He only told me something when I had to choose between Barcelona and Real Madrid. Barcelona were firstly interested in me and then Real Madrid. Then we started to visit both teams training grounds and knowing about their projects. But I chose the best one. Barcelona wanted to pay more, but we wanted the best project. Marcelo and Casemiro spoke with me and helped me choosing Real Madrid”.